I never imagined that a melting sculpture could become the most attractive décor element in my wedding. It overshadowed other creative decorations by adding something special and ethereal to the ambience. Are you hunting for interesting wedding décor ideas that work? Here’s why I’d not hesitate to recommend ice sculpture. Design that you desire – You can demand any design that conveys your ideas to the invitees. An unconventional wedding décor idea – When you fall short of decoration ideas simply get an ice sculpture designed for your wedding. Creates a lasting impression – Your wedding will be immortalized in the memory of the guests because of an ice sculpture that will melt away by end of the day. Conversation Pieces – Ice sculptures attract attention, evoke curiosity and help break the ice between the guests. 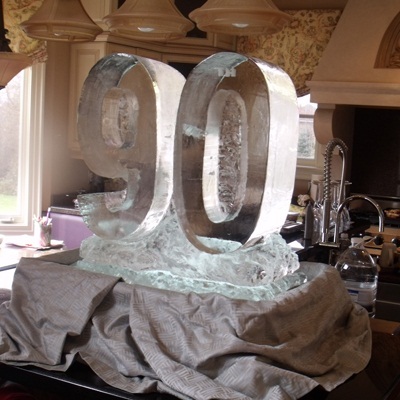 Cost effective – Ice sculptures are cheap in comparison to some of the other expensive decoration items available in the market. Do not commit yourself for spending hundreds of dollars on decoration accessories when a single ice sculpture can do the trick. Wait no more, celebrate your wedding with an innovative and beautifully designed ice sculpture!